I got SO EXCITED when I saw these little black pots that I could use in a word family manipulative. I found them at Party City, and I decided to use green puffy paint to write the different word families on them. Then I spray painted pogs (anyone remember those???) 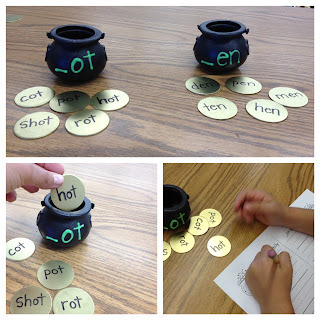 gold, and then made this pots of gold game! Here are the pogs spray painted gold. Here are the pots that I puffy painted the word families on. Then I wrote 5 words for each word family on the gold coins. The students' job was to put the coins in whatever word family it belongs to. Check out my Leprechaun and Pot of Gold Craftivity! Oh my word that is cute! Michelle!!! SO, SO clever! Made sure to pin it! This is such a great activity! I love how creative you were in making the pot and gold. Has it been a popular activity in class? Margaret, They really LOVE it! And because I made so many different word families, they can do a different pair each week! These are so adorable! I think my firsties will need some asap! Thank you for sharing such a great,engaging idea! Thanks for linking up! Love this idea! Love this! It is too cute. I made my own this weekend. Would LOVE a copy of the recording sheets if you're feeling generous! Thank you so much for the great idea! Oh MY goodness, this is adorable!! I'm going to pin this!! We've been doing a lot with word families lately, my kids would be all. over. this! 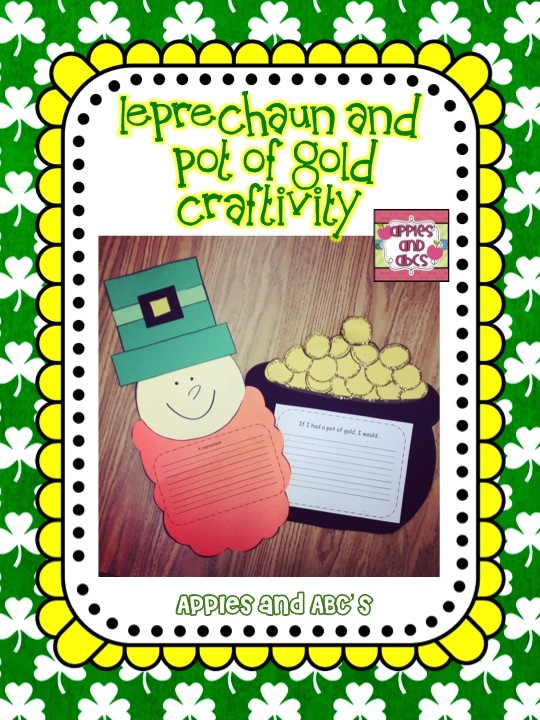 It might be a little late for the Pot of gold theme, but I'll have to recreate using another theme! Just love it! I found you on the St. Patrick's linky party; I'm your newest follower - I would love you to come check out my blog sometime, too!